This book, written by a pediatric neurologist, is a synthesis of current knowledge and practice. It widens the clinical outlook by its translation of the neurosciences into day-to-day clinical practice, clarifying the neurological significance of certain symptoms and signs. The aim of the book is to serve as a guide for the wide range of professional people who diagnose, treat and teach children with learning and behaviour disorders of one kind or another. It might be of special use to people outside the world of neuropsychiatry, to psychologists, remedial teachers, occupational and speech therapists, to enable them to view their work within a neurological framework. This can enhance the basis for team work among representatives of the various professions. All the various professions involved are in need of information on the relationship between brain, behaviour and learning in a practical clinical context. 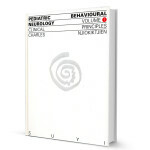 This book shows what today’s pediatric neurology has to offer them and the children.